The golf industry is one of the most lucrative sports markets in the world, and GolfBoard has already started to command significant market share. With the broad support of key industry influencers, GolfBoard has proven its' potential to revolutionize golf, and is quickly becoming known as a game changer for the golf industry. For us, GolfBoard is only the beginning. Our boards are environmentally friendly, economical, and fun and easy to use. 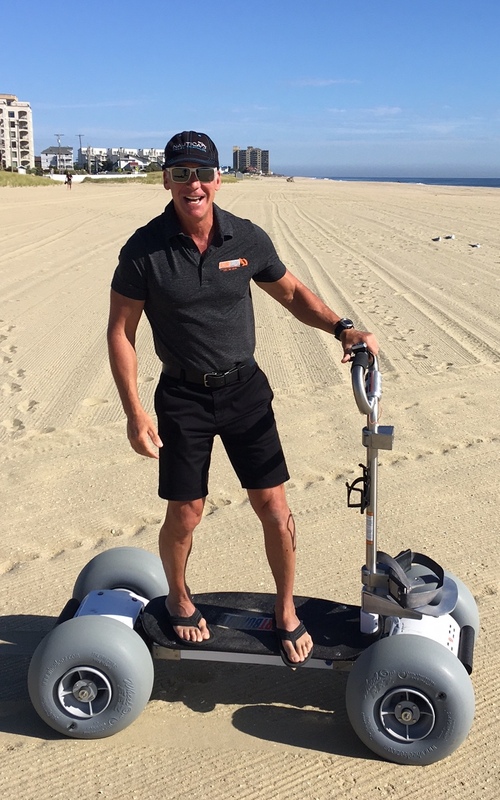 With our new ResortBoard and BeachBoard rental offerings, our company has the potential to expand into massive commercial and recreational transportation markets and generate a highly profitable source of recurring revenue. By leveraging GolfBoard’s proprietary technology, the company expects to quickly penetrate the $15BN worldwide electric scooter marketplace.The massive size of this adjacent market creates the potential for popularity of the Company’s new board offerings to eventually exceed its already highly successful GolfBoard. The response to our boards has been tremendous. I have no doubt we will continue to rapidly grow. We invite you to become a shareholder and together we will build a great company that will reinvent personal transportation.